So finding parts for a 67 year old scooter still hasn’t got any easier. Some engine parts and what not have appeared on ebay but freight costs have proved to be prohibitive. Even with a functioning engine the LC still would be a tough restoration as it needs a lot of bodywork done and is just missing too many parts. It does however have a very tidy left hand side cowl. 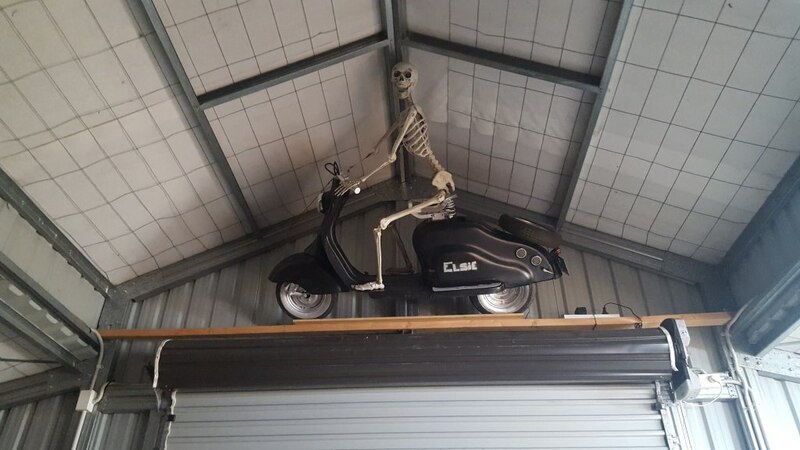 A shift to a new location had meant that Elsie the Lambretta and Sally the Skelly had been left in a scooter heap waiting patiently for some attention. Recently I found some LD running boards on ebay to replace the wooden ones I had made up to complete the look of the LC. Fitting them actually gave the old frame a bit more rigidity and after a while I decided to get some floor matts for it as well. A fair bit of googling resulted in a pair of grey running board matts being purchased, along with an aftermarket rear tail light that looks a little bit more like the original one. 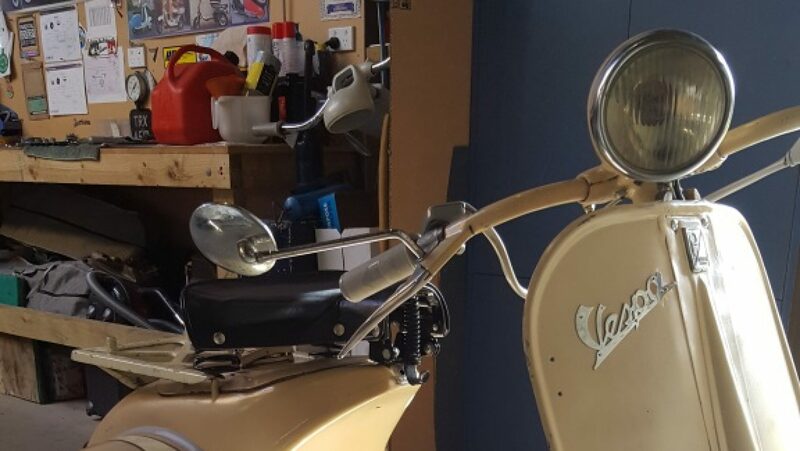 Once I had adjusted the Vespa 8″ wheel set up and suspension, that I had previously adapted to fit the body of the LC, the scooter looked better and was a lot easier to move around. After painting the new floorboards, the rest of Elsie looked a bit shabby so more paint was applied. It wasn’t easy getting this scooter up into its new resting place and alternative options for getting it up there were explored over a few beers one night. A new block and tackle system was purchased to achieve this and after a bit of blood, sweat and more beers, Voila! !